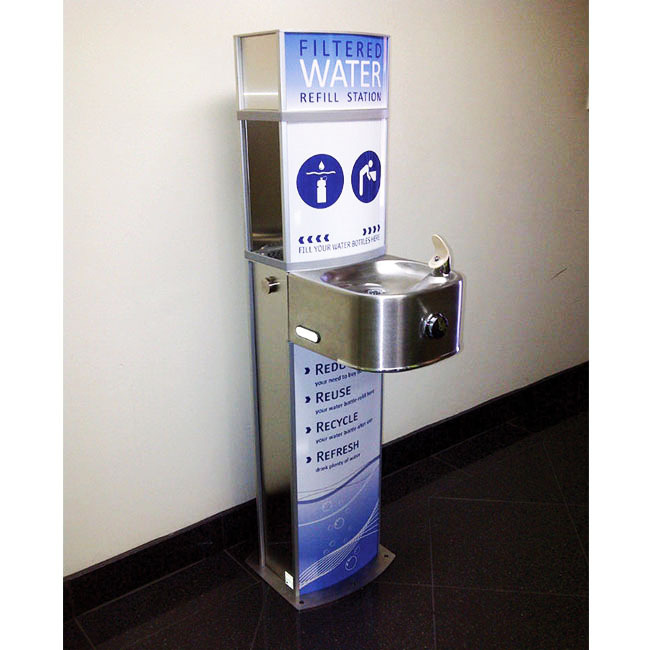 The Pulse Water Bottle Refill Station with Drinking Fountain Bowl offers a drink or refill to multiple people at the same time. 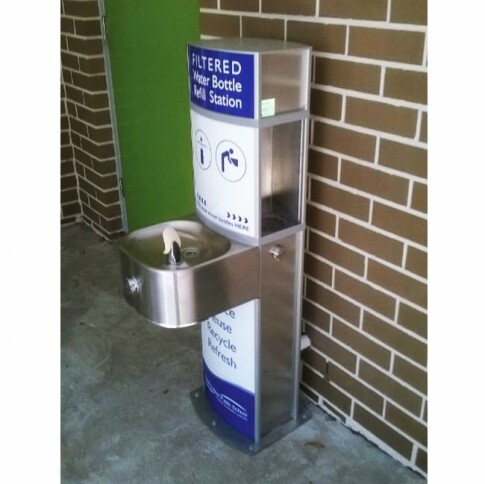 The multiple bottle refilling nozzles ensure more than one person can refill their bottle whilst another can drink from the drinking fountain. On hot days it is imperative that people stay hydrated and it is even more important that students who are very active have ample access to fresh drinking water to ensure they do not suffer from dehydration which can also lead to heat stroke. 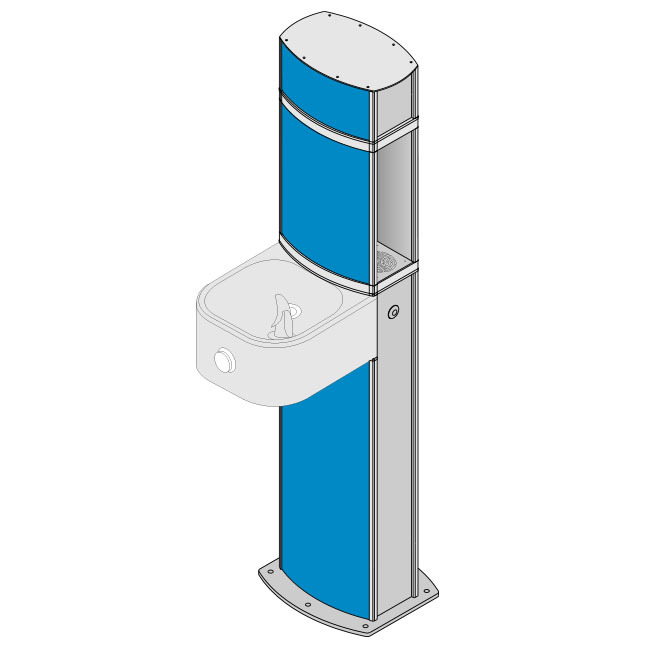 The drinking fountain bowl is stainless steel and it has a soft mouth guard to help prevent injury and the Anti-Bacterial refill dispensers are found on each side of the unit. 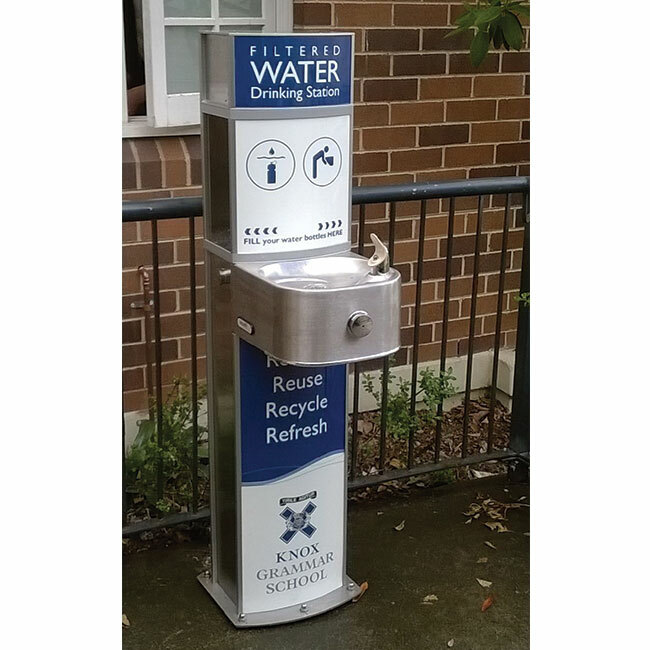 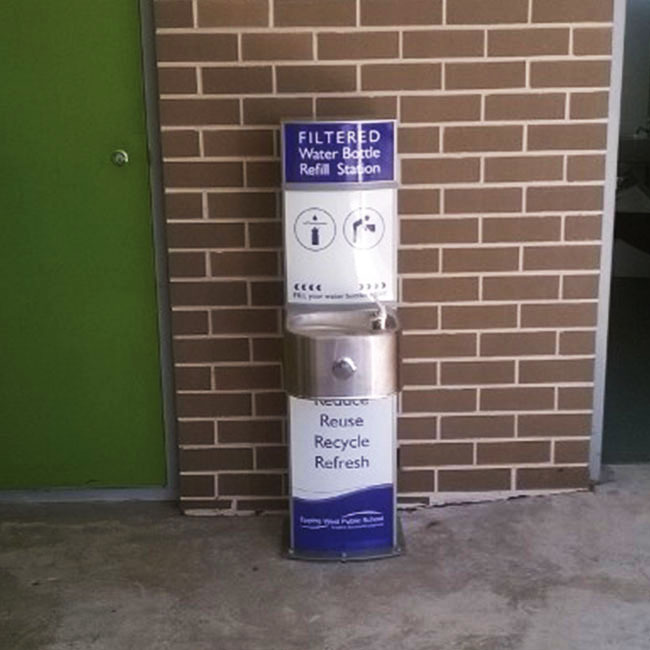 Water refill stations and drinking fountains are a great tool in helping combat plastic waste from disposable plastic water bottles that ends up in landfill and waterways and they also help encourage a healthy lifestyle by offering an alternative to sugary drinks.